The microwave is one of the most heavily used kitchen appliances in American homes. But it’s not always convenient or fashionable to have such a hefty device taking up valuable counter space. If you want to make your model fit seamlessly into your kitchen design, here are a few ways to do it. Where to Place the Microwave? If you want to reclaim your counter space, consider creating an open shelf in your cabinetry for the kitchen appliance to sit. This is a simple project and relatively inexpensive to complete. However, make sure to measure precisely to limit any gaps once it’s in place—this will create a seamless look. If the space between the cabinetry is unavoidable, you can always purchase a trim kit to solve the issue. Having all of your cooking appliances located near each other makes working in your kitchen more convenient and organized. If you’re upgrading the look of many devices, now might be the time to bring them together for a sleek, cohesive look. But be mindful that this design only works wonders when the models are the same style and color. Moving the microwave below the countertop is a fashionable way to make the kitchen appliance more discreet. If you have limited countertop space, it also ensures your precious work area is not being taken over. As an added bonus, younger household members will be able to access the machine when they want to make a snack. It’s important to note, though, that models made for this area often have more limited options than the countertop variety. 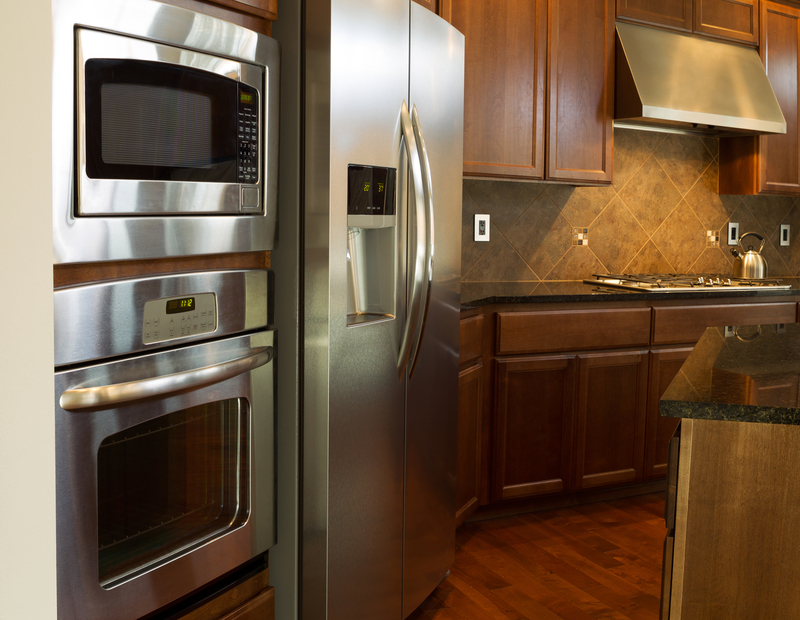 If you’re looking to update your microwave along with its location, visit Mobile Appliance in Mobile and Daphne, AL. For 27 years, this family-owned and -operated business has provided high-end, gourmet kitchen appliances. They carry products from almost every major manufacturer, including Sharp®, Bosch®, and Amana®. View their full list of suppliers on their website and call (251) 633-3188 with any questions about their home appliances.